When adding insulation to a home during remodeling or new construction, understanding the difference between open and closed cell foams can help determine which product is best for your application. Closed cell foam is made of uniform cells that maintain their own shape. Because the cells are closed and have their own cell walls, they are more rigid and trap a large amount of air. This makes for more sturdy products that serve as great insulation. Open cell foam is made of irregularly shaped cells that are linked together. Because the cell walls are broken, the foam is softer. This makes for great sound dampening products, furniture, and sponges. The majority of insulation products used in remodeling and new construction are closed cell, because they trap air for greater insulation value, and do not easily absorb moisture. This includes rigid insulation products made from expanded polystyrene (EPS), graphite polystyrene (GPS), extruded polystyrene (XPS), polyisocyanurate, and more. Due to the rigid structure, closed-cell foams have a higher compressive strength for greater impact resistance. They can withstand more impact from hail and other weather extremes. Because of their softness and absorbency, open-cell foams are not typically used in construction or building materials. Open cell foams do not perform well when exposed to water, since the openness of their cell walls allows water to be absorbed into the foam. Imagine if the exterior of your home was covered in sofa cushions, soaking up every drop of water and holding it on the wall. One exception to this is spray foam insulation, which is available in both closed and open cell formats. Since spray foam is typically applied from the interior in wall and roof cavities, it is not subjected to moisture exposure like rigid foam insulations used on the exterior of homes. Open cell spray foam insulation provides a lower r-value per inch, but is therefore typically more affordable than closed cell spray foam insulation. 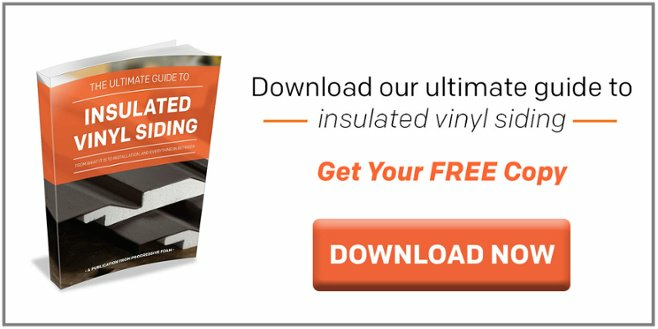 Closed cell foams are the most popular type of insulation used in remodeling and new construction applications. They can provide support to the structure due to the composition of their cells. They protect against water damage, and generally provide a higher r-value per inch than open cell foams. While they are not intended for sound proofing applications like open cell foams, they can help dampen sound transmission.